The monthly heartworm and flea treatments work well, but I sometimes forget to give them. What can I do? 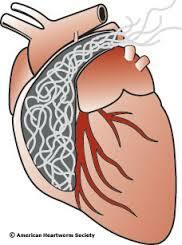 Years ago, heartworms were prevented by administering a medication on a daily basis. Fleas and ticks were treated with weekly dips or powders, which didn't work very well anyway. 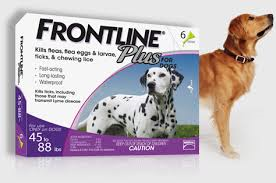 Then some major advances occurred in the field of parasite control, leading to the first generation of effective monthly treatments. While these treatments are and have been very effective, a major issue has always been remembering to give a medication every month. Methods used have involved stickers or other reminders placed on a calendar or attached to a regular monthly activity or bill, such as a mortgage. There have also been refrigerator magnets with monthly checkmarks. More recently, people are starting to use their PDA's or phones for reminders. Now Merial (the maker of Heartgard, Frontline, and Nexgard) has created a system of monthly e-mail reminders and made it available to pet owners. Just click on this Link and fill out the form. 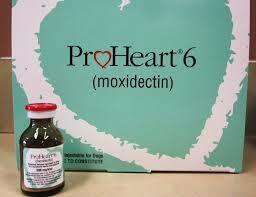 By the way, Grove Center Vet now stocks and uses Proheart 6, an injectable heartworm preventative that lasts 6 months. Give us a call for details.